Market value and actual cash value can mean the same or completely different things. It all depends on the industry and the way it defines each term. In general, however, market value – more often called fair market value – is an ideal but educated guess that places an artificial price on an item such as real estate. In contrast, actual cash value is a selling price or a statement of what an item is actually worth. Market or fair market value is the answer to the question of what a willing and able buyer would pay a willing and able seller for a specific property. Market value can be difficult to establish because the answer will never be a universally agreed upon value. A seller most often wants market value set high while a buyer wants it as low as possible. Even neutral third parties can vary widely in value estimations, which is one reason why market value is at best an educated guess. Actual cash value is, for example, the price that a willing and able buyer did pay and the price at which a willing and able seller did sell a specific property. It is a measure of what the property was worth, at least at the time of the sale. Actual cash value can also mean the amount an insurance company will pay to replace damaged property. 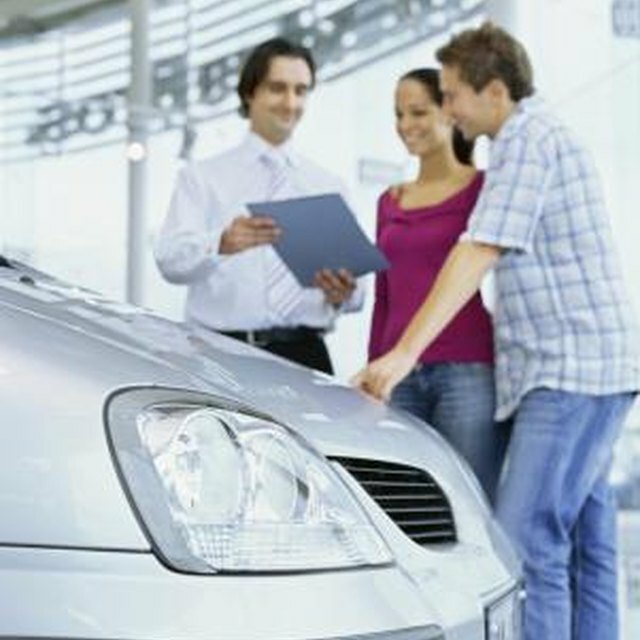 In this case, however, actual cash value may not refer to the actual purchase price but to the cost of replacement after subtracting depreciation for wear-and-tear or age. Lack of a standard definition for actual cash value within the insurance industry means that although market and cash value in reality are different, they can sometimes technically mean the same thing. The Michigan Insurance Code, for example, has required fire insurance policies to provide actual cash value replacement since the late 1800s. It did not, however, specifically define the term. Even after a 1998 case in which the Michigan Court of Appeals stated that actual cash value is replacement cost minus depreciation, "Michigan Lawyers Weekly" reported in a Feb. 22, 2010, article that some insurers continue to use fair market as a measure of actual cash value. What Happens If I Don't Report an Accident to My Auto Insurance Company? Property appraisals illustrate the difference between market and actual cash value. For starters, the Appraisal Foundation defines as market value as an “opinion of value.” Appraisals start by identifying features common to those other properties share such as the number of bedrooms, bathrooms, square footage and the size of the lot. An appraiser then finds two or three recently sold properties within a specific perimeter that “compare” to the property being appraised. Market value becomes a best guess based on the results of these comparisons.